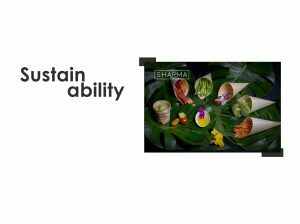 Sharma was created by Ausolan Group, which has an extensive experience in the catering sector. A benchmark at the national level with international expansion. Experts in management of restoration services of collectivities, cleaning and other auxiliary services. An agile and close management that anticipates and adapts to the needs of each client. We are committed with every one of our customers, engaging in every project. 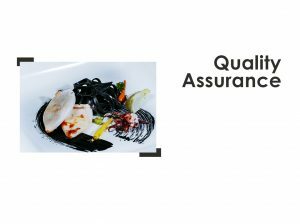 We design personalized gastronomic offers, always prepared with the highest quality products, that allow us to make every event something special. We always strive for a balance between traditional cooking and a modern, elegant cuisine that will awaken all your senses. 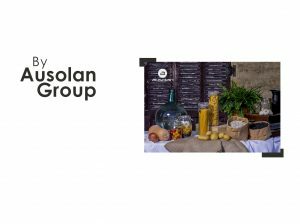 Our concern and awareness of the need to be environmentally friendly, has led us to design a gastronomic offer that is creative, healthy and sustainable. This is why we work to reduce and recycle waste, diminish energy use, and select local products.